Would you like to learn how to set goals that put smile on your face, make you feel energised and inspired to take daily actions? How are you getting on with fulfilling your New Year’s Resolutions? Have you noticed how often these fade away and we’re left dissatisfied with not accomplishing them? Success is not a secret, but a system and once we learn it, we can achieve any goal we truly want! 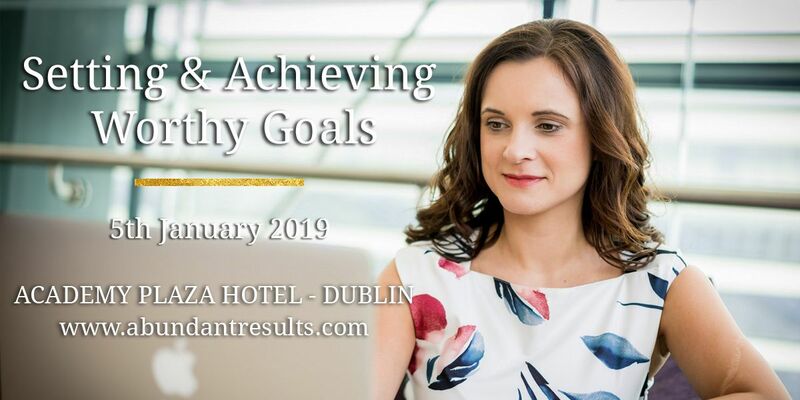 For more information on this material, check out Ewa’s article for the Irish Independent on Setting & Achieving Worthy Goals.